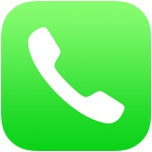 Though we have long been able to add automatically dialed extensions to contacts on the iPhone, the newest versions of iOS handle extensions much more intelligently, allowing you to create a “Dial Extension” button to any specific contact. That extension dialer can be activated manually, making the navigation of telephony menus infinitely easier. The extensions can also be added from a Mac in Contacts (Address Book) by adding a semicolon to numbers followed by an extension, just be sure to sync it through the same iCloud account or it won’t go over to the iPhone. Anyone who frequently uses extensions to reach specific people at an office, or anyone who has battled an automated phone system knows how useful this can be. You can even set a string of numbers, though the Dial button remains the same. Snow phone! Though with that example the auto-dial “1” would be better I think. Nice trick though as usual, thanks. Thank you so much! I didn’t know this! If you don’t want to use the Dial 123 option, you can replace the wait with a pause (I typically use 2 pauses) after which the phone will send the extension tones. using the example in the main article the number would become. 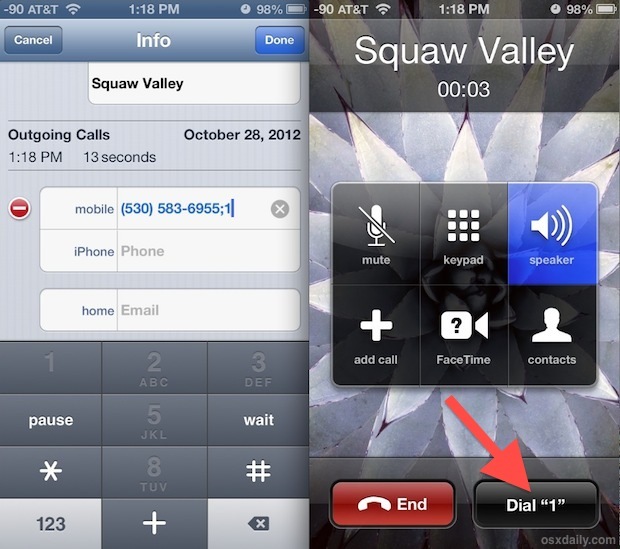 The “Dial #” button is new, but of course inserting pauses and then sending more numbers is NOT new. Using a comma for a pause in phone number strings goes back at least to the days of dial-up modems, where you might first have to dial a number to get an outside line, then the phone number itself, and so on. A comma is used to insert a pause to allow time for the preceding action to complete. It still works on most autodial systems, cellphones or otherwise. What’s new here is using a semicolon to generate the manual “Dial #” button. No giant big deal, but it’s a nice implementation that I can imagine being useful on occasion.